Your dining room is the central focus of your home. It’s where you have your meals, dine with guests, sit back, relax, and laugh. 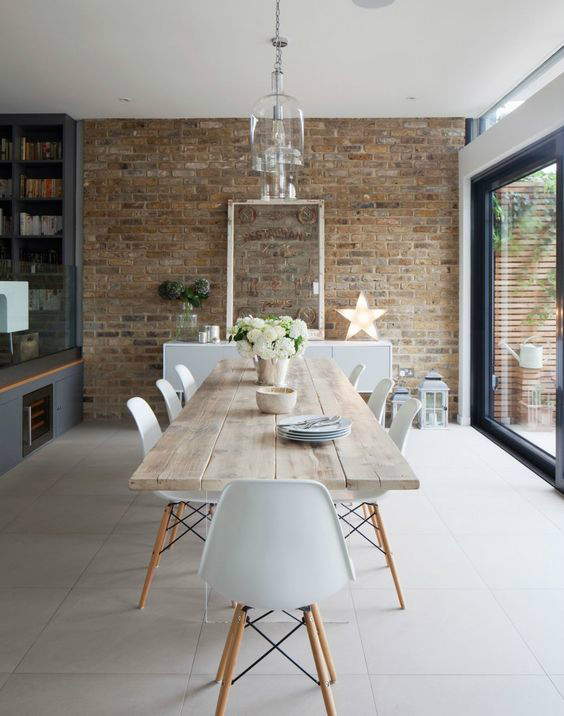 The dining room has traditionally been a formal setting, but there’s no reason that the space can’t be formatted to be laid back and look great too. So what are you to do when your dining room seems hopelessly out of sync with your vision for it and doesn’t create the relaxed setting you want? Here are ten great ways to help transform your dining room so that it’s laid back and welcoming. Incorporate them into your planning and achieve the mood you’re looking for. It might sound strange, but gray is all the rage right now. It’s simple and chic, and doesn’t place the burdens on your eye that a light blue would. 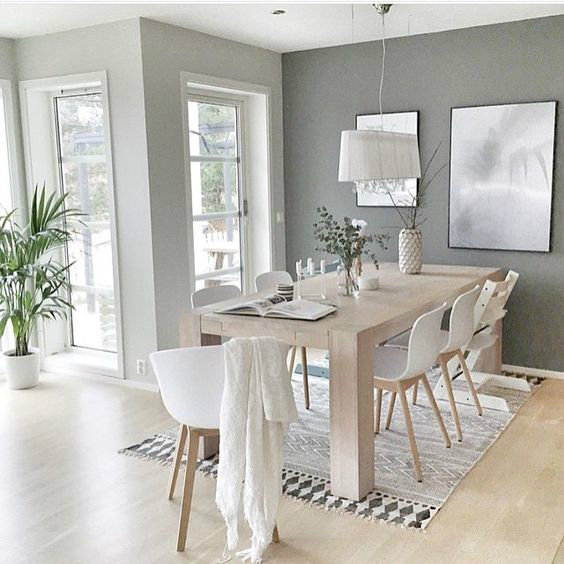 Gray is present without demanding attention and gives the room a clean look that doesn’t feel too overwhelming– perfect for creating the relaxed mood you’re going for. Having a combination of regal high-back chairs paired with a few lower chairs will create a unique ambience that invites you to let your hair down. This stylish mix-and-match approach is the opposite of cookie-cutter, six to a set seating. Keep the room filled with neutrals and layer them in for a relaxed, laid-back feel. This look goes great with rustic wooden floors. Blue ceramic accents will add a touch of hominess to any room. 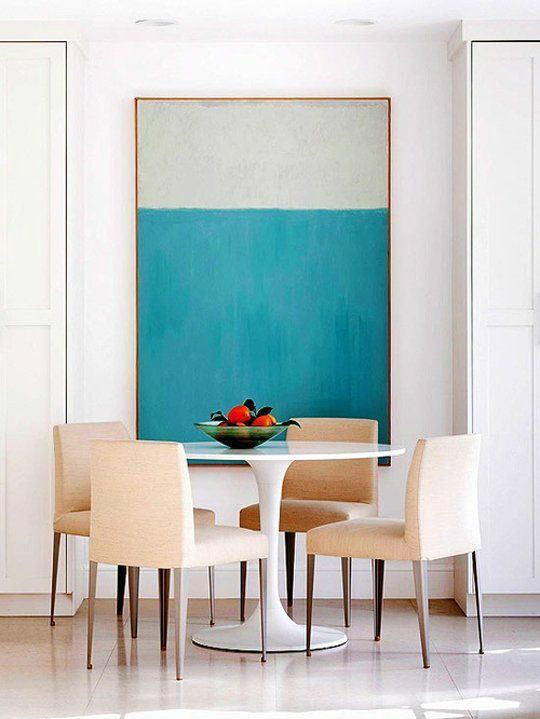 It’s a calming color that is traditionally underutilized for dining rooms, which will make it feel all the more whimsical and fun. This new spin on traditional dining lighting pieces is one of the best facelifts you can pursue! These modern pendants are stylish and full of character. Plus, the balance of glass and metal goes with just about any decor you can imagine. 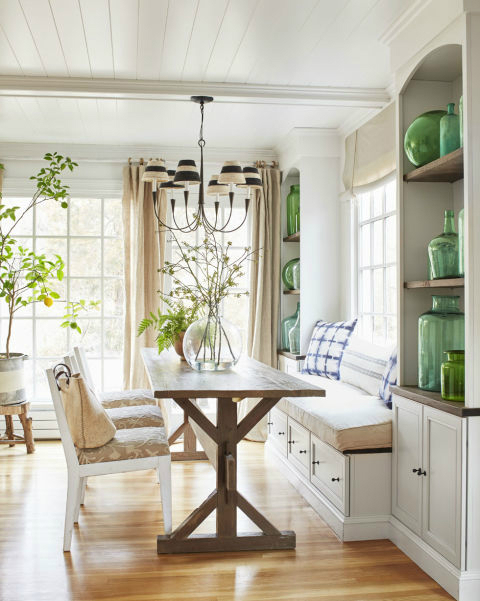 If you can add a window seat to a room, it will instantly create a relaxed feeling you’ll love. Arrange it against a wall or a window, place a table in front, and add two high-back chairs to the other side and you’ve got it done! 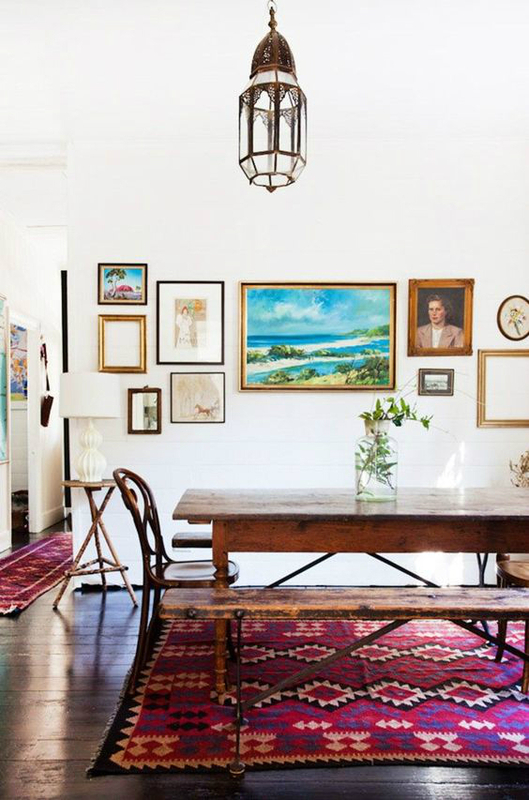 Believe it or not, brown done correctly for a dining room looks incredible. 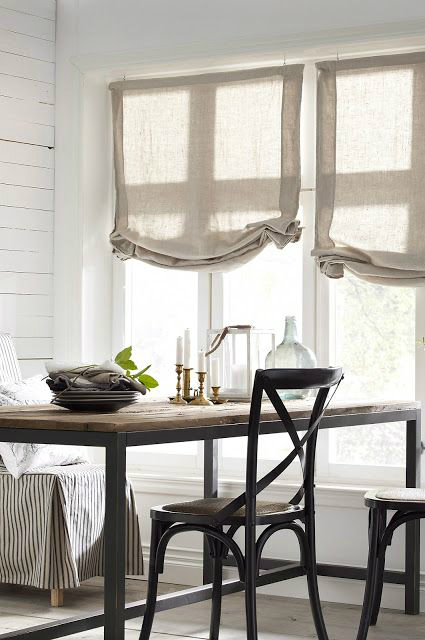 Add soft brown drapes, seating, and gold accents such as hanging lights and gold-accented place settings. 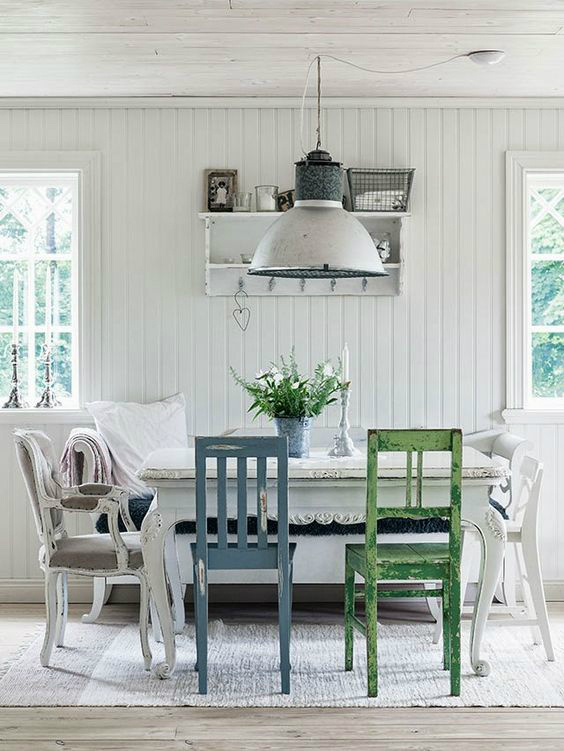 All-white walls and colored or gray furniture will collaborate to create an artistic, gallery-like feel to the room. A large print, photo, or piece of art can really add to the ambiance and creates. 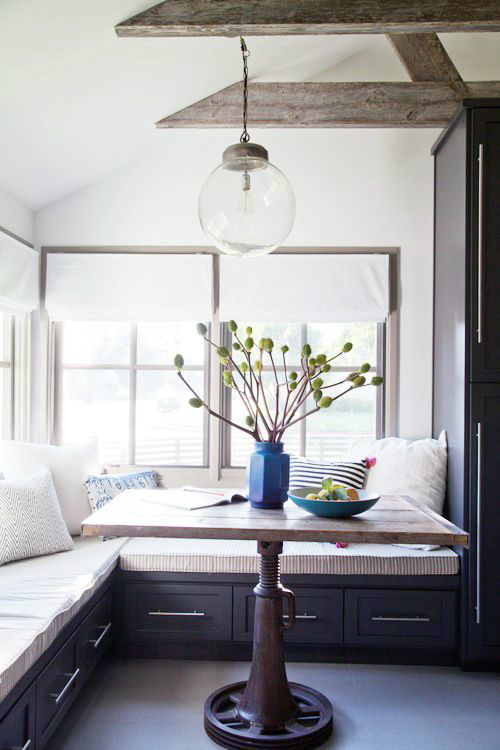 Since the table is the focal point of the room, it sets the overall tone. 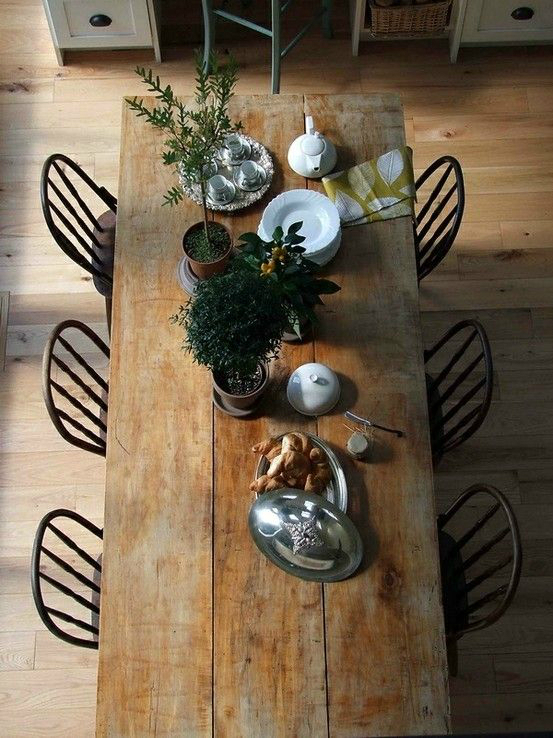 Make your table inviting by getting a rustic wooden table that’s polished and not too stuffy. Lighter hardwood flooring feels much less uptight than chic, mahogany-stained boards. It also frees you up for endless contrast, with darker wooden accent pieces and a multitude of color options for your decor.